Combining data with interviews, provides an organisation with the right approach to help move it forward in terms of understanding the customer to define strategy, says BSG client engagement and strategy executive Jurie Schoeman. Jurie Schoeman (Client Engagement Strategy Executive). Today's way of working distances us from observing how our customers interact with our brand. You could be working at head office and not get to see how your customers engage at store level. Even if you are engaging in surveys and telephone calls with customers, these are not sufficient to drive the innovative and competitive responses required. 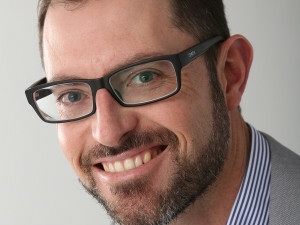 Jurie Schoeman, BSG client engagement and strategy executive, believes the right data is essential to truly understand and predict customers' responses. "Many organisations lack sufficient customer information to drive the right strategies to maximise customer value, as rich but dispersed operational data often goes untapped because it resides in organisational silos, which limits access and inhibits a common data view." An often-overlooked source of data is your customer. Organisations can build rapport with a customer through in-depth, one-on-one interviews, as they are more likely to share information that might not be learnt otherwise. Schoeman explains BSG uses games with clients' customers to get them to open up and understand their thinking and reasoning behind decisions e.g. Monopoly money to see how they would invest it. This type of gamification allows an organisation to assess how they should be responding to their clients' requirements. According to Schoeman, many organisations actually know far less about their customers than they should or think they do. "Organisations need an in-depth understanding of their customer to define their strategy. This is not easy to obtain, but combining data with interviews, provides an organisation with the right approach to assist in moving the business forward." Obtaining a single view of your customer is key and with most customers interacting with brands across a variety of channels, this is becoming more challenging. "To improve customer experience requires an ever deepening understanding of customers. With many organisations being highly siloed, this requires different areas of business to collaborate and work together." Data can be the unifier to break down internal silos and enable organisations to serve a single customer. If organisations want to remain relevant, they will need to ensure a keen customer focus and understand their customer's problems and how best to resolve them. "At the end of the day, customers want seamless interaction with a brand," says Schoeman. BSG is an African consulting and technology company with 20 years' experience across the banking, specialised financial services, insurance, telecommunications and oil and gas sectors. Clients utilise BSG's services because we 'get the job done with you', by creating flow between business and IT executives. Its collaborative approach enables us to solve its clients' most important business problems, accelerate their business performance and grow the sustainability of their people. BSG enables this customer-centric approach by journeying with its clients from needs to results, using fact-based decision-making. Visit it at www.bsg.co.za.